I do. I love my garden at this time of year. 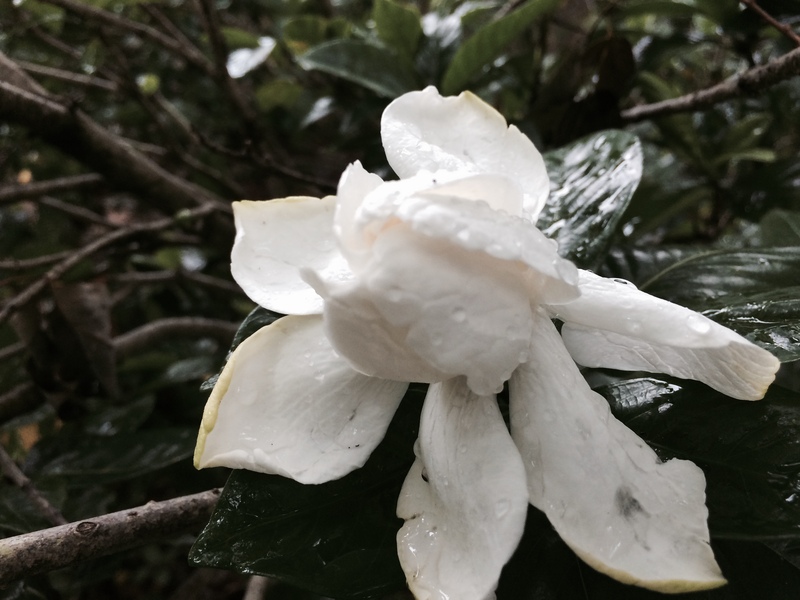 Even though it is a dreary, wet and rainy day at my house there is still so much to see. Forgive my indulgence but here are some of my (current) favourite things growing in my garden. 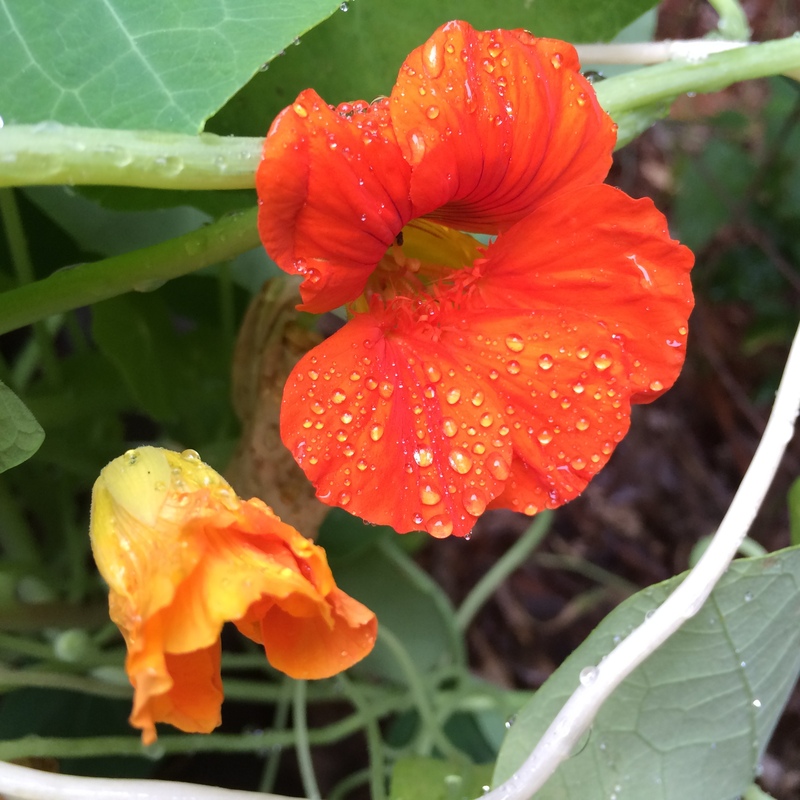 Lovely nasturtiums that are ‘acting’ as companion plants in my vege garden. 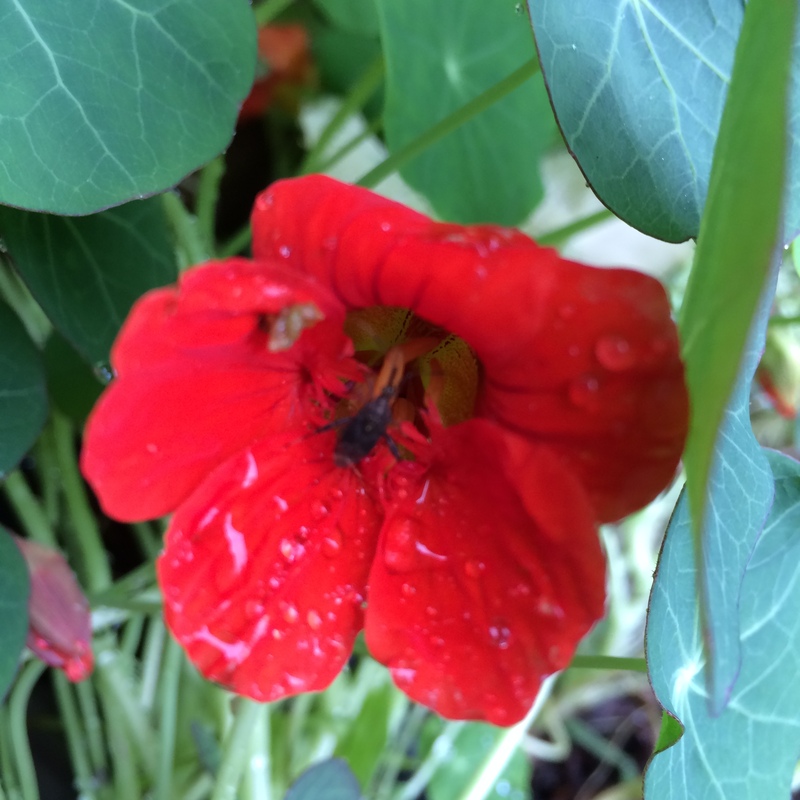 They are supposed to keep all kinds of bugs away and attract beneficial insects but all I see is a big fat black bug taking up residence right inside that lovely crimson nasturtium. Hmmm. What is that guy and what’s he doing in there? I love my blueberry hedge. 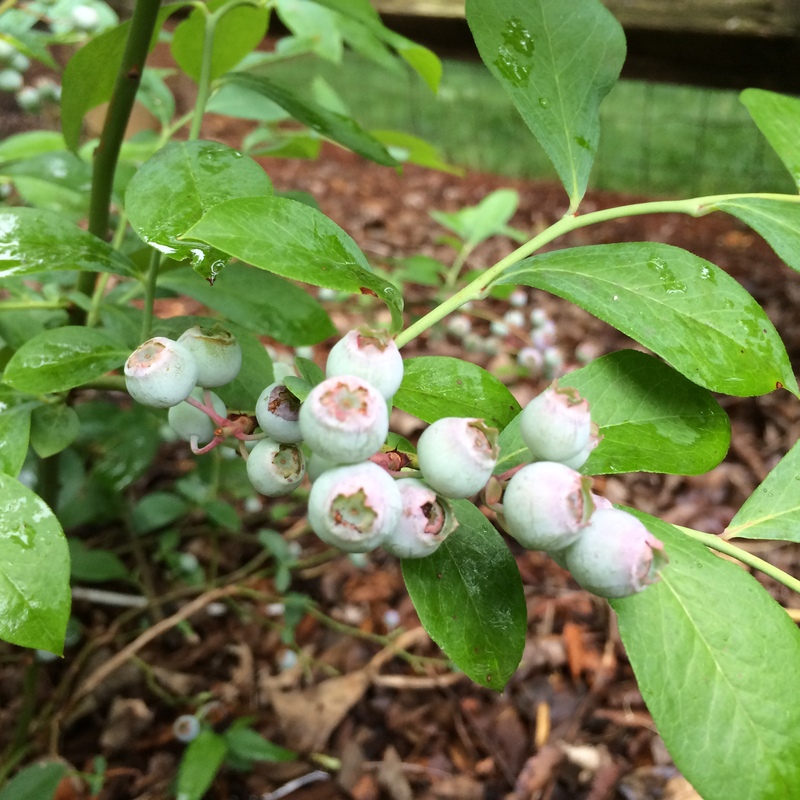 I have 3 bushes planted along my fenceline and although they are still small (only 3 years old) I am excited that all three are fruiting well. I have thrown bird netting over the top to see if I can harvest any for myself this year. Birds beat me to them all last year. 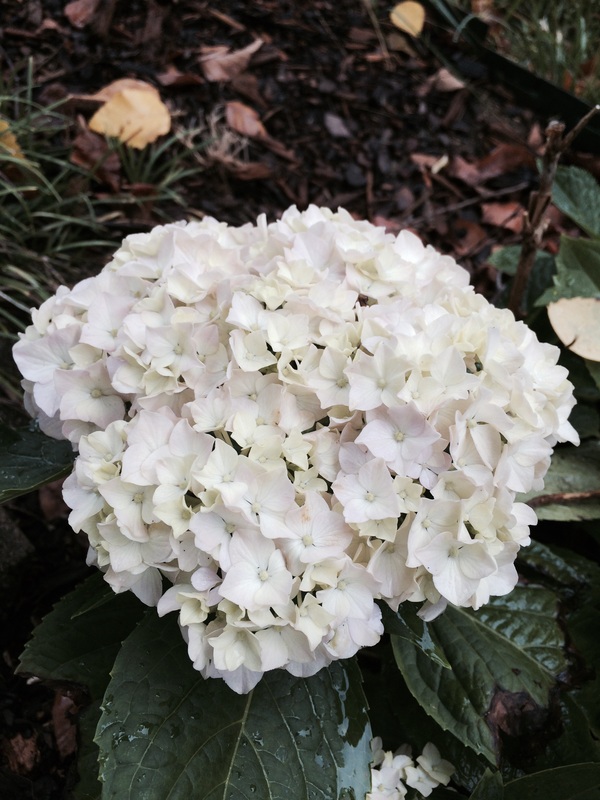 I love my hydrangeas, too. 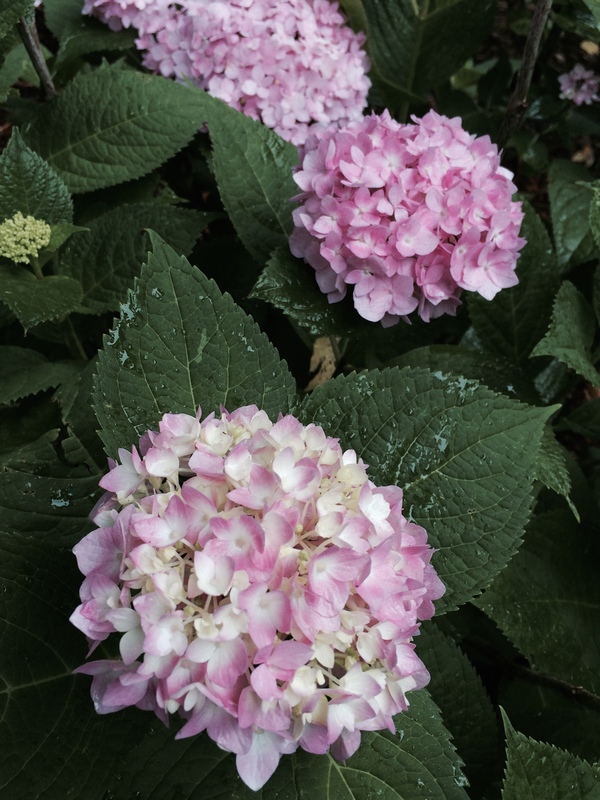 I have three Endless Summer Hydrangeas that the boys bought me for Mothers Day a few years back that are blooming pink this year. Our soil is typically acidic which would normally produce blue flowers so I was pleasantly surprised to see these big pink balls pop up. 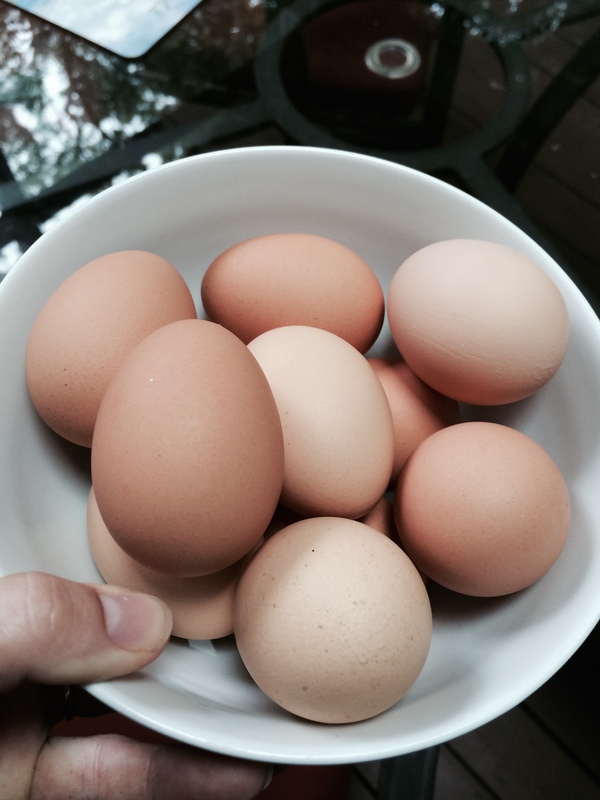 Perhaps it was something in the compost I gave them …. I love the mottled white/pink when they first start to bloom. Honestly, they are exposed to too much afternoon sun and don’t get near enough water to do really well so I totally bow down and give mad props to any plant for blooming despite the not-so-great location I’ve asked it to grow in. Gotta love a team player like that! 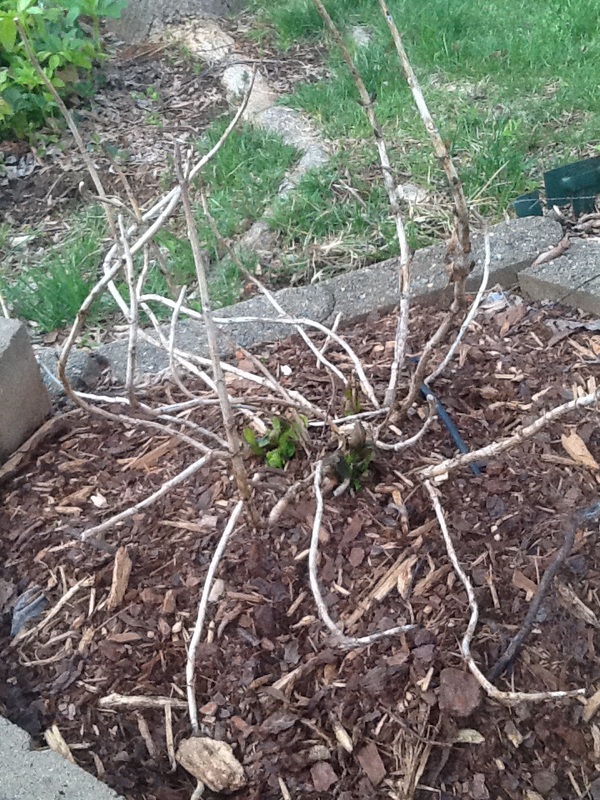 I’m sure you don’t remember the ugly and under-perfoming Winter Daphne I pulled out earlier this spring. 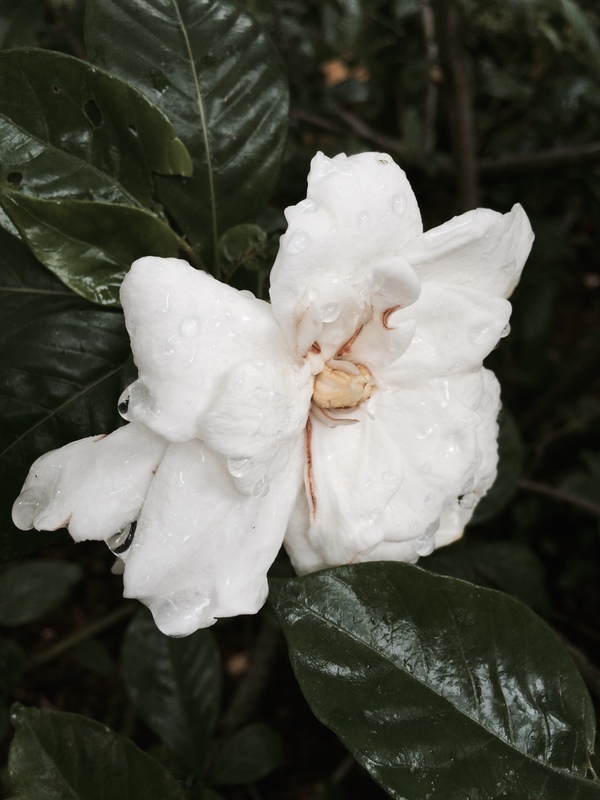 You can read about my sad Winter Daphne journey here. 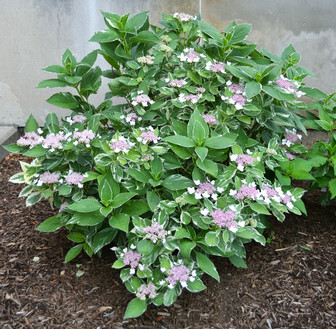 Happily, I replaced my sad Winter Daphne with happier Mini Penny Hydrangeas. They’ve grown pretty well, I think, given that they’ve only been in the ground for 3 months AND have given me almost two whole blooms! 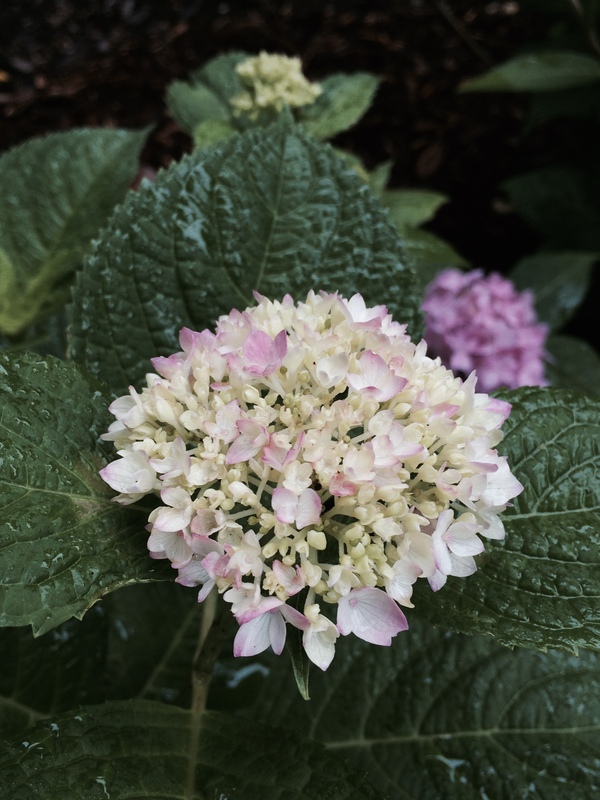 More reasons to love hydrangeas. 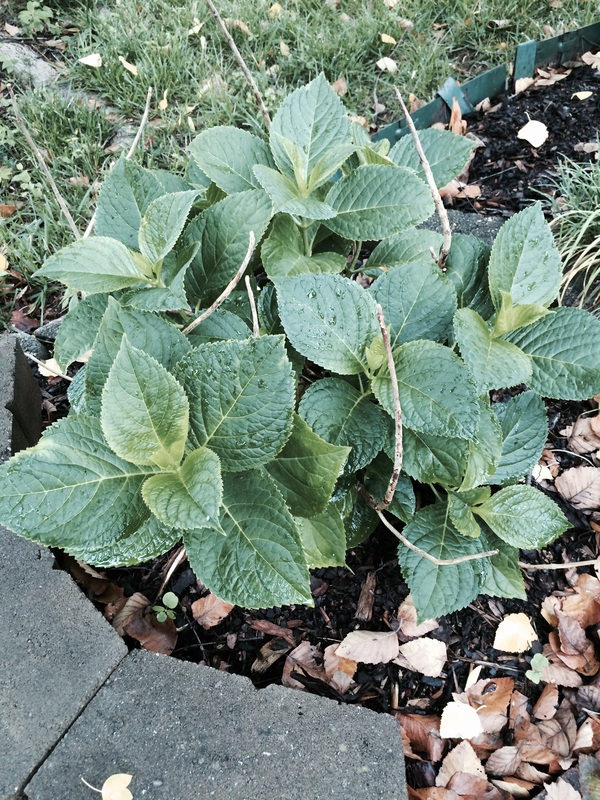 Newly planted Mini Penny Hydrangea. Grow, baby, grow! Not bad, eh? I’m a little concerned they are going to be fried in the late summer afternoon sun but maybe they’ll be ok. Hmmmm. Boooo. Stupid thing blooms on old wood and every year the buds are either lost to a brutal winter or to an early frost. Sigh. 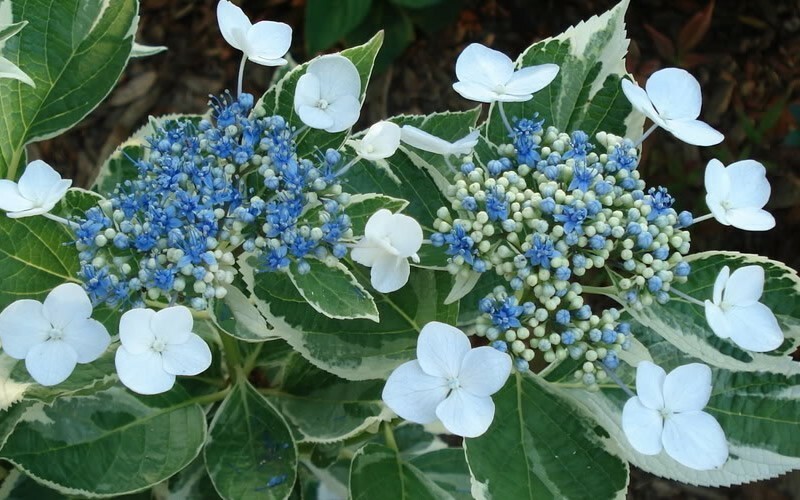 I’m not certain if I’m going to stick with such an underperforming plant although the variegated leaves might be worthwhile. If It will ever grow bigger than 3′ it can stay. Jury is definitely still out on this one. 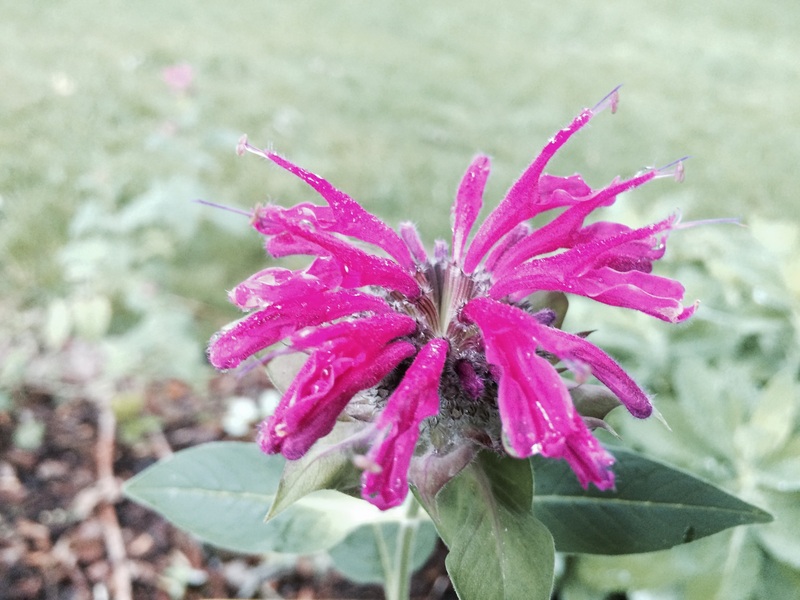 My hummingbird garden is doing a little better this year with the Black and Blue Salvia and Bee Balm finally blooming. They don’t look like much right now but my hope is that in a few years they whole bed will be filled with these lovely, hummingbird friendly, flowers. 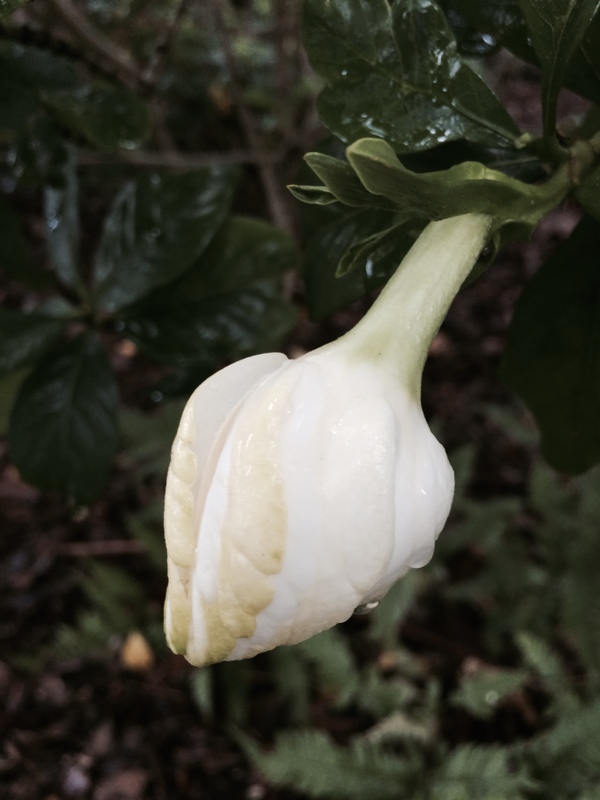 Gardenias are starting to bloom and I can smell their fragrance waft right across the garden. Just lovely. I do wish they would get a little more sun as I’m sure they’d bloom better. They catch a lot of shade from my neighbour’s trees. And the girls have been doing their thing. 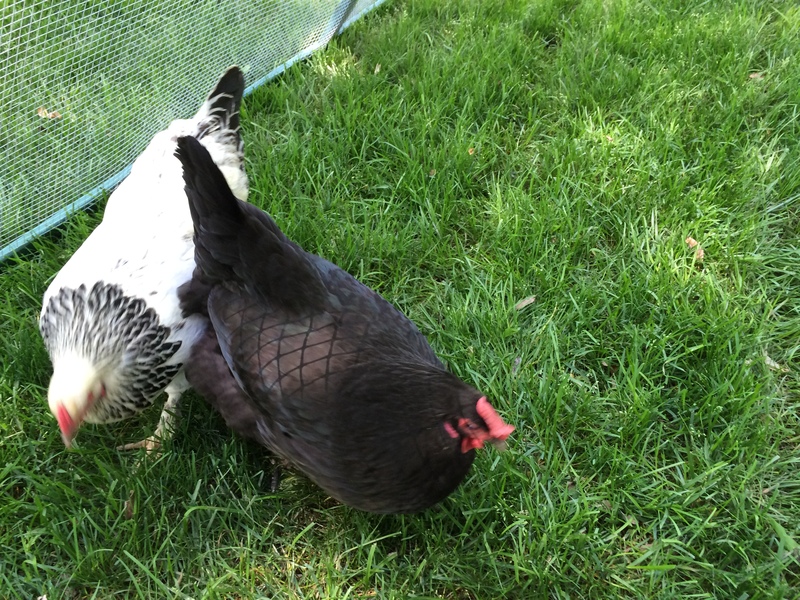 I love our chickens. I think May/June might be my favourite time of year in the garden. There is so much to see without it all being overwhelming yet. 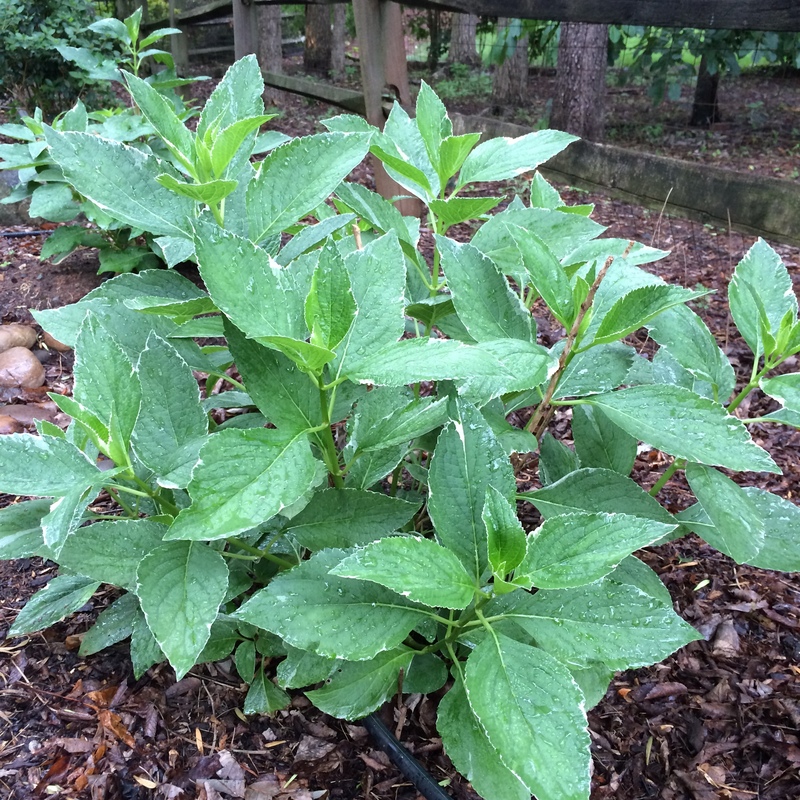 What’s growing in your garden right now? ← Do you play Jeopardy? 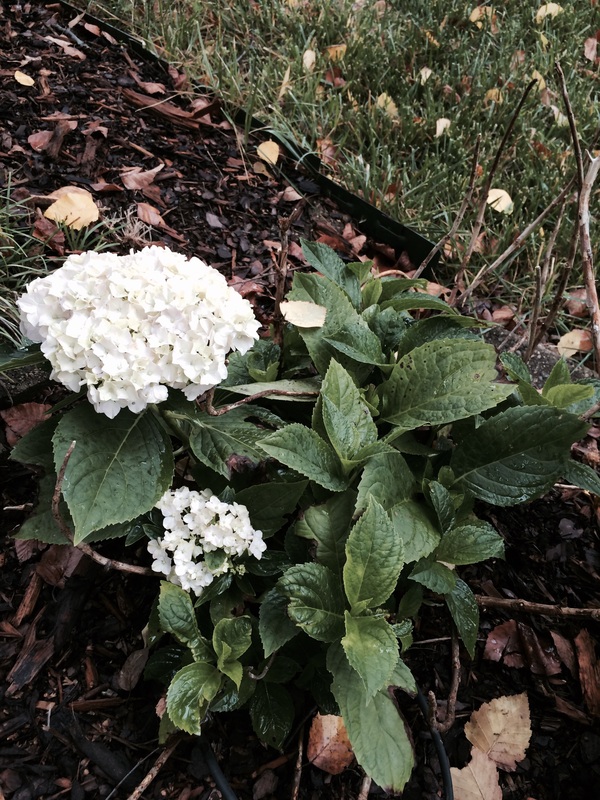 I didn’t know hydrangea flowers turn blue in acidic soil. 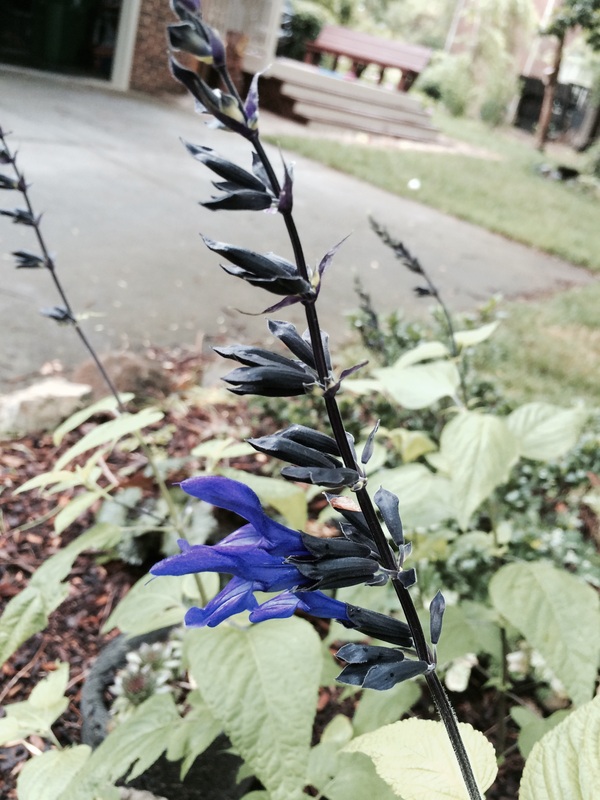 A friend gave me a clipping which I planted earlier this week. The soil is neutral pH. Does this mean pink flowers? Will be interested to see what colour yours turns out to be! The clipping is only 10cm so it may be years before we know? I don’t know much about hydrangeas except my Nanna loved them, so I wanted to grow one in my garden for her (I nice way to share her memory with my Little One). Thankyou for the link, info and post.